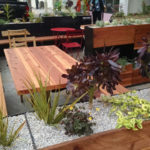 Youth Art Exchange (YAX) youth architects from the YAX Architecture Firm, lead by faculty architect Kali Gordon and John O’Connell High School construction instructor Chris Wood, have designed and developed a modern parklet design in the Mission neighborhood of San Francisco. 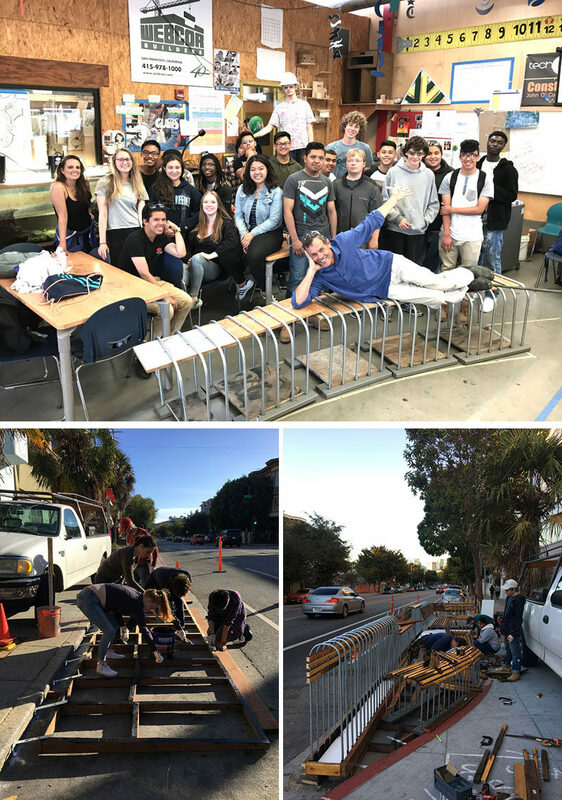 The students designed, fabricated, and installed the ‘Pipelet’ parklet outside John O’ Connell High School. 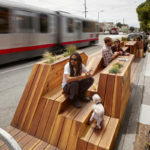 The design, which was inspired by the school’s mascot the “boilermaker”, uses affordable materials like reclaimed cedar and conduit pipes to create a parklet that adds a modern touch to the street and is accessible for the public. 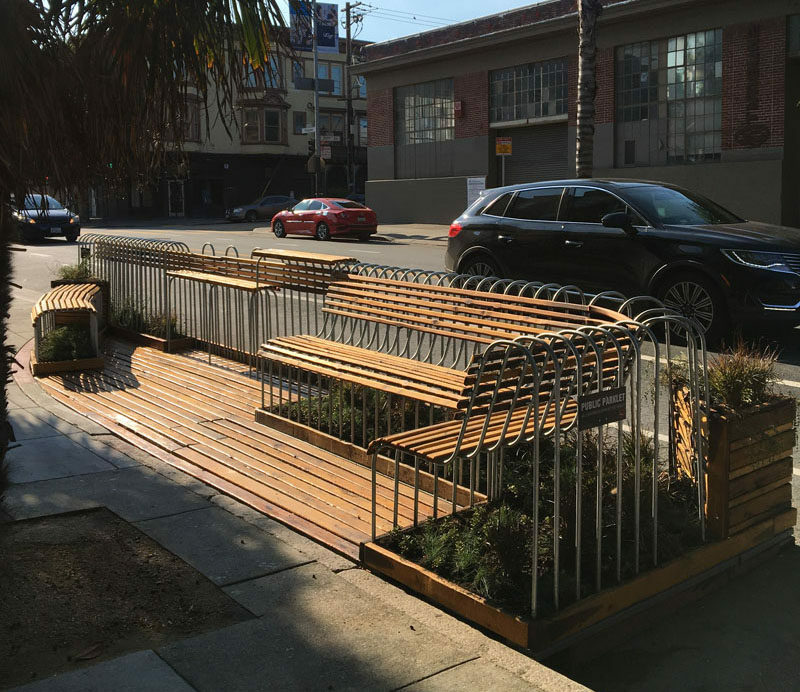 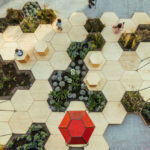 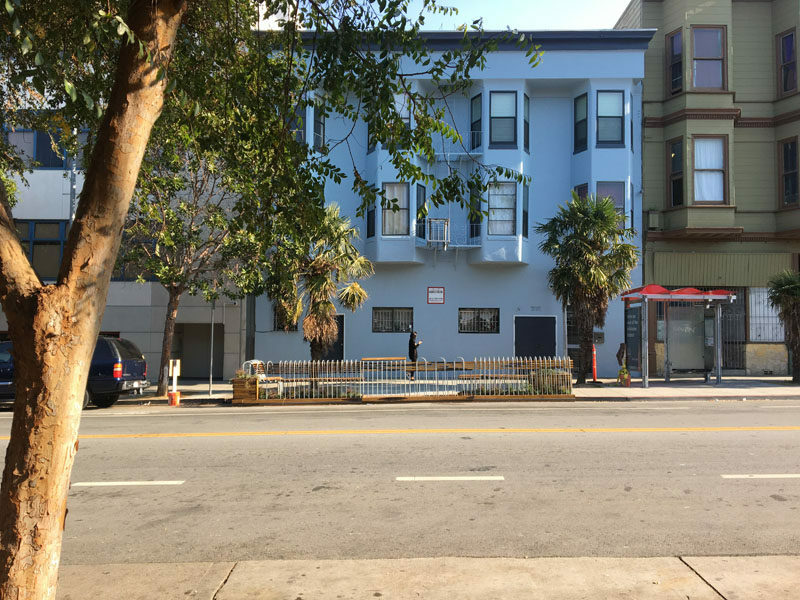 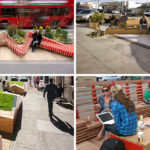 From the other side of the street, the parklet adds a sculptural element and at the same time, creates a small green space as they have planted a variety of plants under the seats, benches and in the built-in planter.